DiaResQ® works with your body’s natural defenses to support digestive health by delivering micronutrients, macronutrients, and immune factors. DiaResQ® contributes 4 grams of high-quality protein per serving, making it a direct source of beneficial nutrients, including amino acids, fats, and carbohydrates. Each serving of DiaResQ® includes naturally occurring immune factors and other important nutritional components that promote intestinal health to rapidly support normal intestinal function. DiaResQ® is a Food for Special Dietary Use. 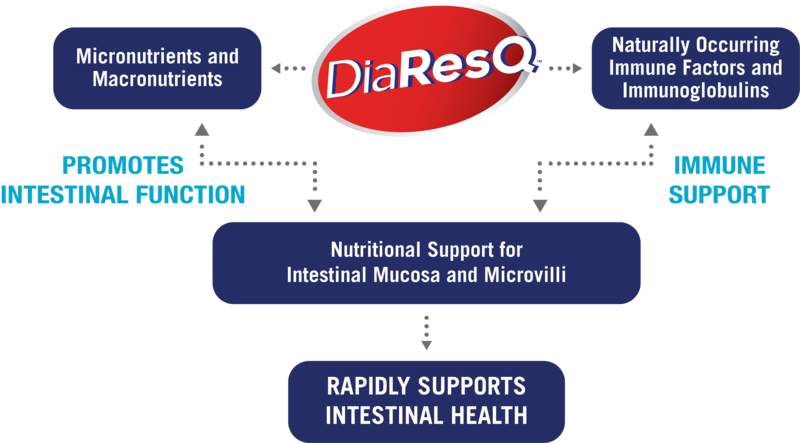 DiaResQ® provides nutrients for people with diarrhea.